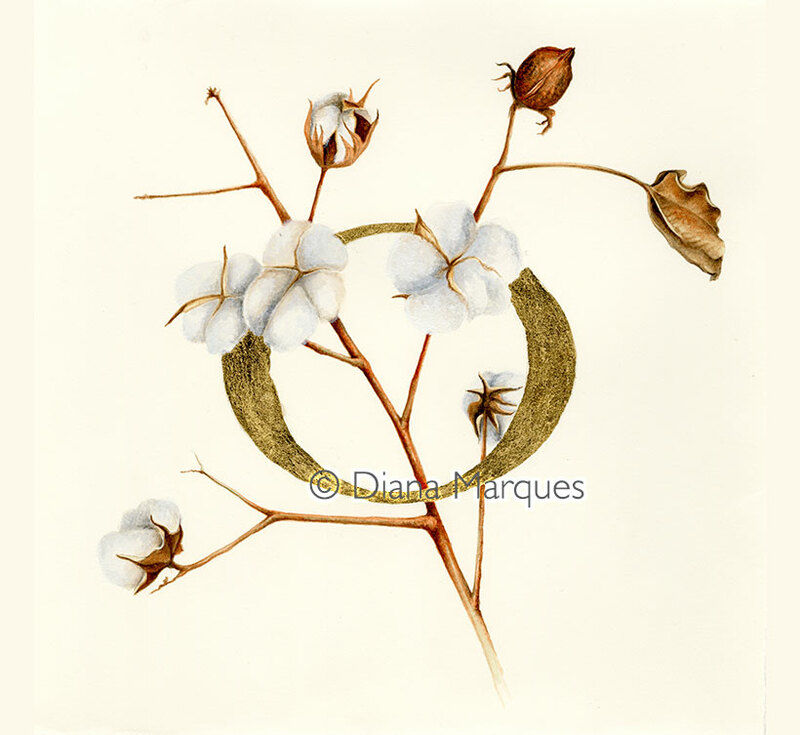 Illustrations created to feature at the exhibition Oliva of the 6th National Meeting of Illustration (São João da Madeira, Portugal). The subject of the exhibition, “OLIVA”, concerns the Portuguese foundry that produced a variety of metallurgic products but became famous for its sewing machines. 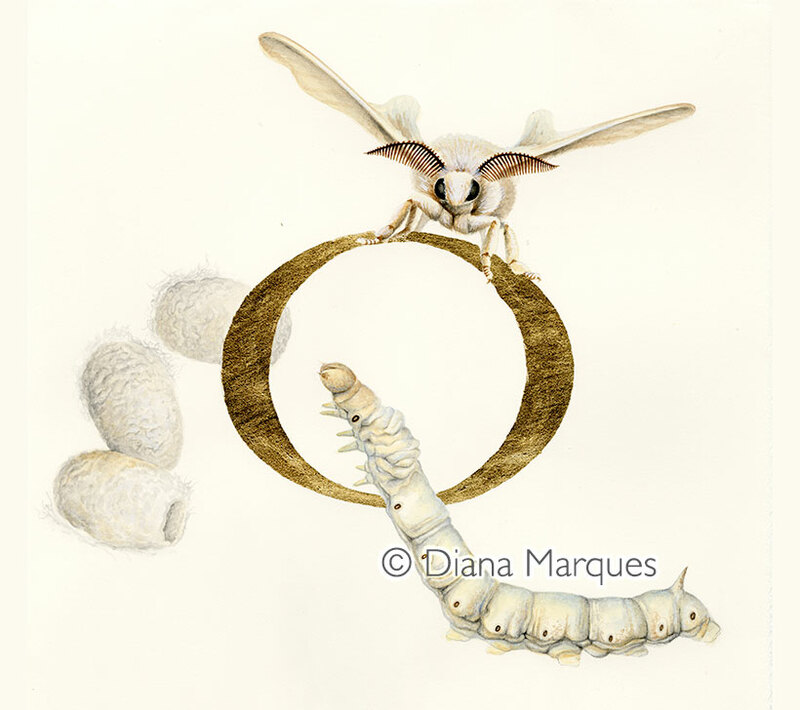 In these illustrations, the Oliva logo in gold leaf is intertwined by the cotton plant and by the silk moth life stages, representing the sources of materials used in the sewing industry.